Perhaps you’ve been dreaming of the day your daughter gets married for years, a day when finally you have the chance to tell the world just how proud you are of her. Then you sit down to write your father of the bride speech and suddenly your mind goes blank. Humour is a good way to break the ice so if you have the nerve start your speech with a joke or funny one liner. If you are a bit nervous, however, simply begin by introducing yourself and say something about the special day so far, and how fantastic everything has been. Thank everybody for attending, and give special thanks to those who have helped in the planning and organisation of this special day and those who have travelled from far away. Include some anecdotes from the lead up to the big day, or the start of the wedding day itself if you have any. This is the most important part of your father of the bride speech. Tell your daughter how beautiful she looks and how proud you are of her. You don’t regularly get to share your wonderful daughter’s many qualities and achievements with an attentive audience, so take your time and indulge yourself. Start with your daughter’s early years, perhaps share a funny story or two about when she was a young girl. Don’t be afraid to gently tease her about some of the things she has done but in a kind manner and don’t mention anything that you know will really embarrass her. Towards the end of the segment, talk about how she met her new husband, ensuring you tell the tale in an upbeat way. This will lead you easily into the next part of the speech. It is traditional for the father of the bride to welcome the groom into his family, and to highlight his pleasure at the new bond between the two families. If you have a good relationship with your new son-in-law it’s a good idea to poke fun at him a little, and to joke about what he is getting himself into in marrying your daughter. Anecdotes that work well in father of the bride speeches could be about your first meeting with the groom, the first time you knew your daughter was in love, and how you felt about their betrothal. Perhaps, you don’t much like the groom, but the father of the bride speech is definitely not the time to voice that. Ensure you stay positive and talk about how your new son-in-law makes your daughter happy. 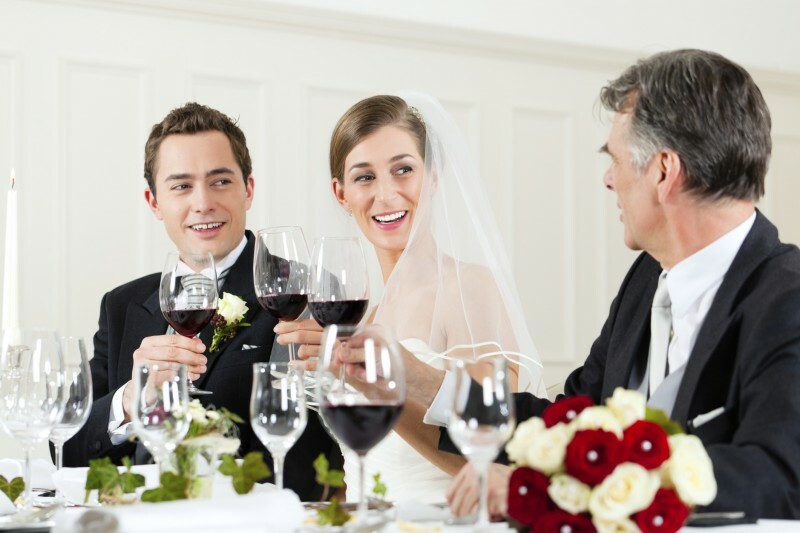 Finally, towards the end of your father of the bride speech you should congratulate the newlyweds on a fantastic wedding, and convey your confidence in their future happiness together. Your ending should also include some wise words on marriage, possibly mentioning the speech your father-in-law gave at your wedding. 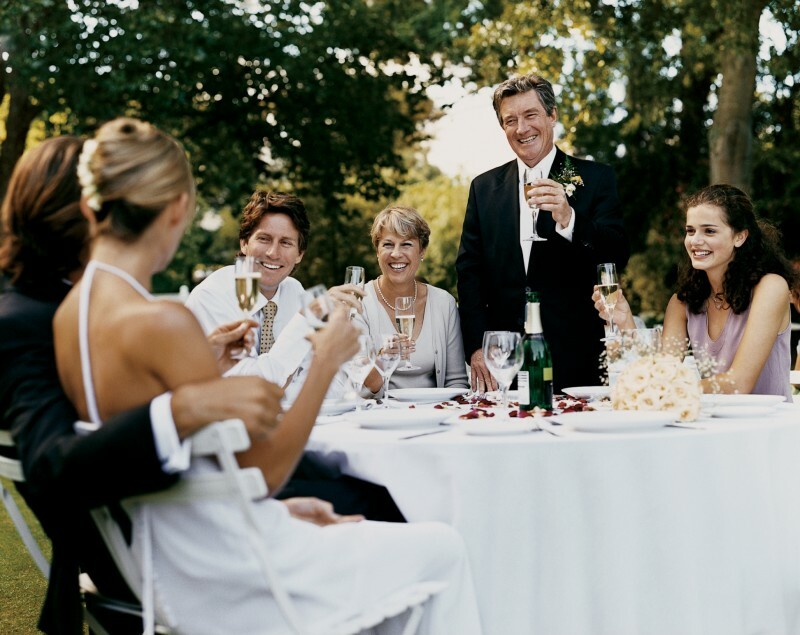 At the end, propose a toast to the happy couple and get all the guests to raise their glasses to the newlyweds.